A new species of aquatic worm discovered in southwest Illinois can be seen with the naked eye—but only just. 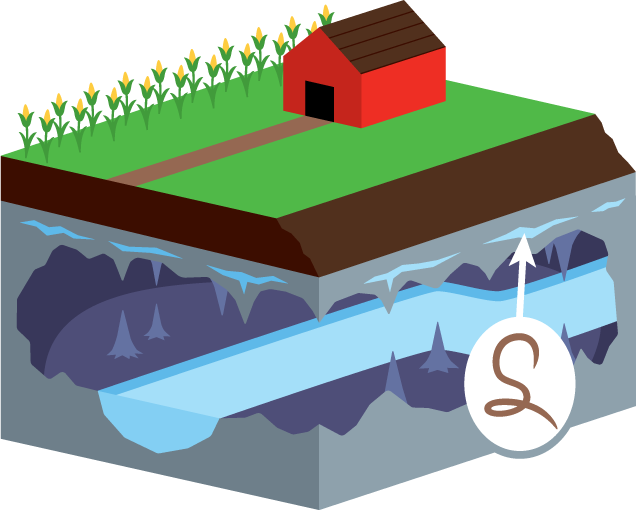 Scott Cinel, a graduate student at University of Illinois at Urbana-Champaign, and the Illinois Natural History Survey’s Steven Taylor discovered the worm in 2015 while inspecting the first-ever samples of the state’s epikarst zone—a thick layer of rock that supplies water to underground rivers winding through Illinois’ nearly 300 caves. A little more than a dozen types of crustaceans, amphipods and worms were found using screened collectors placed in Monroe County caves. Most belong to species groups known to live in epikarst zones. Cinel and Taylor have partnered with a taxonomic expert to document the characteristics of the newly-discovered worm species. A full description and name will be revealed in an upcoming journal publication.